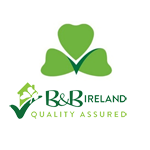 It goes with out saying that Irish Farmhouse B&Bs in Ireland are renowned for their tasty Traditional Irish breakfasts. But B&B hosts like to offer their guests a varied breakfast menu, so usually pancakes will be on the menu selection as well. 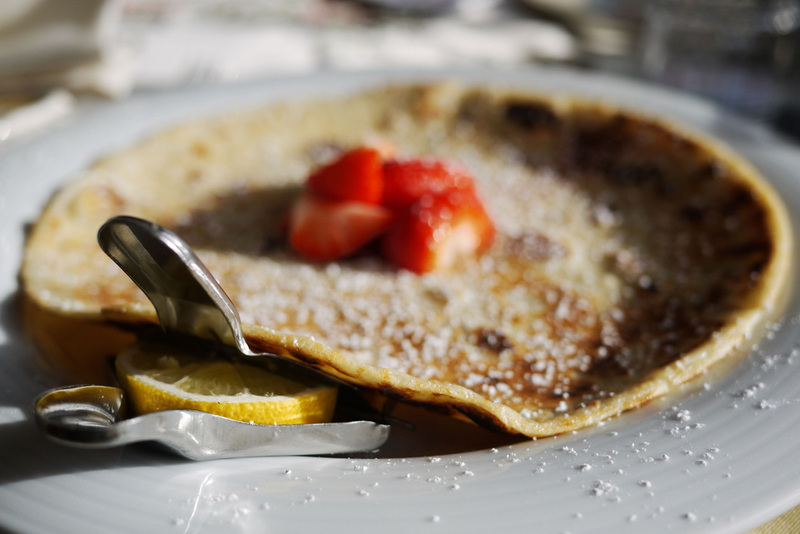 Here is an easy, but delicious recipe for pancakes that you can try out for yourself at home. 1. Sift the flour and salt into a mixing bowl and make a hole in the centre. 2. Break the egg into the hole and add the melted butter or oil and half the milk. 3. Gradually mix the flour into the liquid by stirring all the time with a wooden spoon until all the flour has been incorporated. Then beat well to make a smooth batter. 4. Stir in the remaining milk or instead you can beat all the ingredients together for 1 minute in a blender or food processor. 5. Leave to stand for about 30 minutes, stir again before using. 6. To make the pancakes, heat your frying pan until it’s very hot and then turn the heat down to medium. 7. Lightly grease with oil and then ladle in enough batter to coat the base of the pan thinly (about 2 tablepoons), tilting the pan so the mixture spreads evenly. 8. Cook over a moderate heat for 1-2 minutes or until the batter looks dry on the top and begins to brown at the edges. 9. Flip the pancake over and cook the second side. Serve with some butter, caster or icing sugar, lemon juice and/or fresh fruit. Quick, easy and so delicious!